Indigenous Politics - Reflections on the Stolen Generations Report, the Northern Territory ‘Intervention’ and the Constitutional Referendum. Indigenous leader Professor Mick Dodson will give his perspective on the state of Indigenous politics over the past two decades on February 28 at La Trobe University. His reflections on the Stolen Generations’ Report, Bringing them home; the Northern Territory Intervention; and the proposed Constitutional Referendum among other topics will offer insight into the complex world of Indigenous politics and its struggle to be heard in mainstream politics. Talking with Professor Robert Manne, Professor of Politics and Convenor of the seminal Ideas and Society Program at La Trobe University, the conversation will identify the major tensions that lie at the heart of Aboriginal politics. Mick Dodson has been at the centre of political debate and can talk not just from a professional but from a deeply personal perspective about the state of Indigenous politics over the past two decades or more. A great deal has happened in the area of indigenous politics since the time Mick Dodson was appointed as Social Justice Commissioner by the Keating government. This is a chance to hear Mick Dodson’s views on what has been achieved over the past twenty years or more. Mick Dodson has been a long-term advocate for Indigenous rights, human rights and social justice and in many instances has played an instrumental role in events of historic importance in Australia and globally, triggering legal reform and leading to an acknowledgement for the polices of forced removal of Indigenous children from their families. 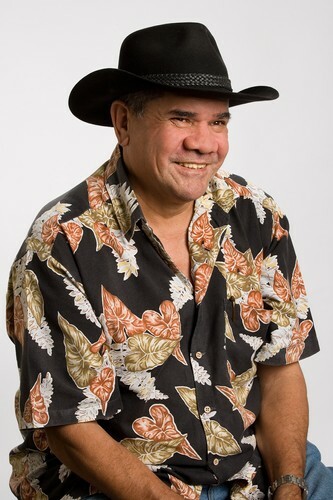 Currently Professor Mick Dodson is Director of the National Centre for Indigenous Studies at The Australian National University and Professor of law at the ANU College of Law. He was Australia’s first Aboriginal and Torres Strait Islander Social Justice Commissioner with the Human Rights Commission. He was a key negotiator behind the Native Title Act.